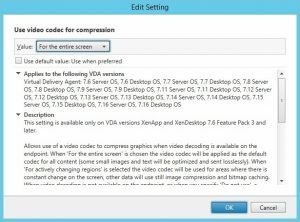 As I already did a H.264 and H.265 comparison earlier this year I just updated the content and could finish this blog pretty fast. 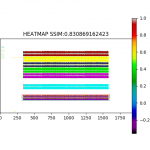 So what can you expect from H.265? First of all we have to fullfill a bunch of prerequisites in order to run H.265 at all. With H.265 we can expect to get better compression at same visual quality or same quality at lower bandwidth (compared to H.264). So we did some comparisons here to see if it can keep the promises. 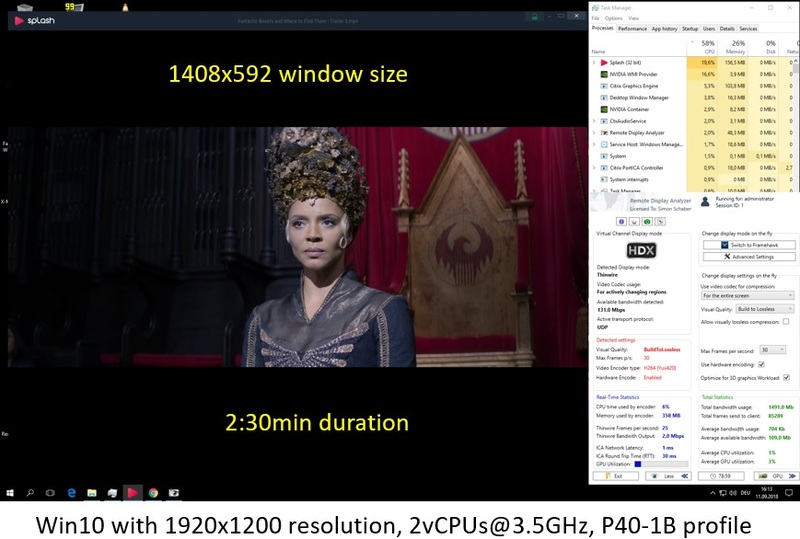 I start with the “human eye” comparison between H.264 YUV420 and H.265 YUV420 to see how the chroma subsampling behaves. At least to me it to looks much better with H.265 if we look at our “quick brown fox” reference image comparison already known from the 1st blog post of this series. While we see a difference in “human eye” comparison in zooming into the captured images, we see almost no difference with SSIM. 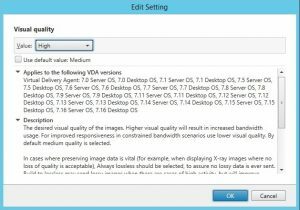 Image quality in both scenarios are around 83% accuracy. Form my perspective the “chroma subsampling effect” is less recognizable with H.265 but the color accuracy with H.265 is not better. So if we look at the results, we observe small savings in bandwidth between H.264 and H.265 of around 20% for the given test case. For sure this is not representative for all use cases but at least we already get an impression how it might behave especially in scenarios with low bandwidth WAN connections for example. There is almost no difference in latency between H.264 and H.265 in our GPU scenario as both protocols are using hardware encoding (NVENC). We measured the same very good end user latency of 115ms. This is the best value we see for all Citrix protocols. 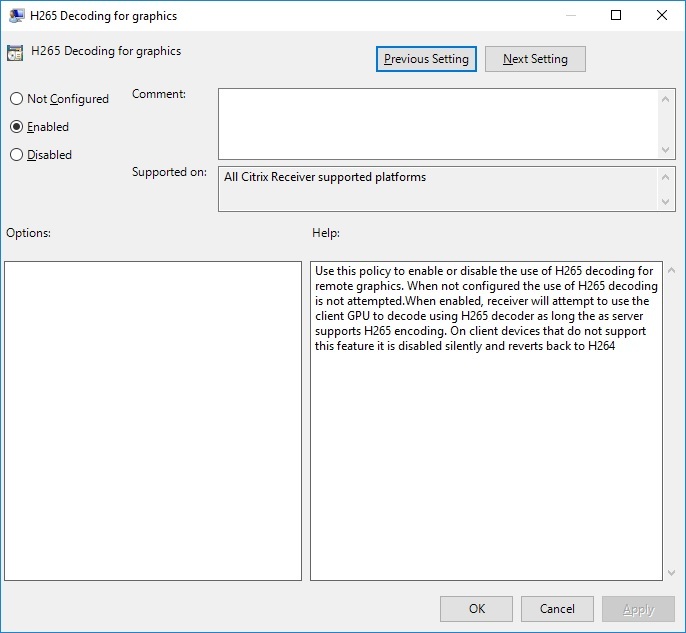 As already mentioned in the prerequisites section it is very important to understand the extended requirements for the endpoints as it is a necessity to support H.265 hardware decode. 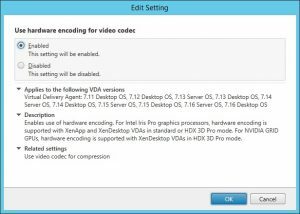 There are very few ThinClients available which already support H.265 hardware decode and even FatClients need to have a proper GPU (Pascal generation for example) or CPU (Skylake) that support the decode in hardware. As we can see this is the same policy set as we already had for H.264. So how do we control if H.265 is used? In order to use H.265 instead of H.264, you need to adjust the settings at the endpoint. Finally let’s look on the use case when it might make sense to use H.265 in favor of H.264. 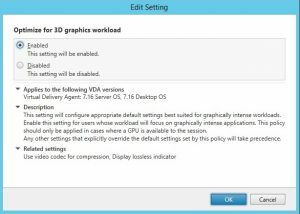 Especially in situations where we have limited bandwidth for a 3D VDI use case it could be the right protocol. But you need to weigh the prerequisites described to make it work and decide yourself if it is worth the effort. Great Blog series Simon. 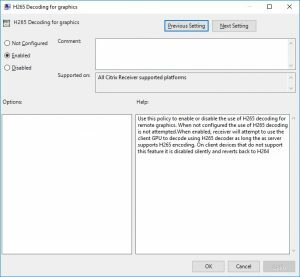 They cut through a lot of confusion around Citrix policy settings. Keep up the good work!